Despite the passage of time, drummer Paul Motian, now 75, continues to develop his singular take on jazz tradition while simultaneously exploring its storied history. 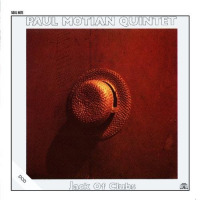 Altering his much-lauded Electric Bebop Band by adding a third guitarist to the mix, Motian makes a break with recent convention. 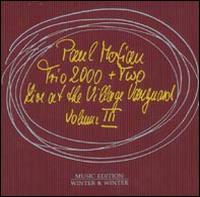 Forsaking another album primarily dependent on rearranged bop standards, Motian presents a program of predominantly original material. 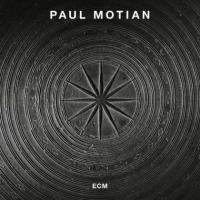 Bookended by classic standards, Motian still makes room to pay homage to the masters, but this time the focus is on his own writing. Haunting versions of Charles Mingus' "Goodbye Pork Pie Hat" and "Pithecanthropus Erectus" open the album, while sprightly takes of Thelonious Monk's "Evidence" and Charlie Parker's "Cheryl" close it. In between, the band travels through a hazy, impressionistic landscape. Invoking his classic trio with Joe Lovano and Bill Frisell more than his own Electric Bebop Band, Motian's new group embraces his own rich history to conjure a sound world that's both ethereal and bracing. The shadow of another master also looms large over this set: Ornette Coleman, whose harmolodic concepts are often implied in the idiosyncratic melodies, polyphonic harmonies and loose rhythms. Tenor saxophonists Tony Malaby and Chris Cheek spin languid, interweaving melodies while the trio of guitarists (Jakob Bro, Steve Cardenas and Ben Monder) carefully avoid overstepping each other's bounds with pointillistic accuracy. With so many electric guitars, one would likely expect a muddied, indistinct sound, but ECM's pristine production is beyond reproach. Relying on the kaleidoscopic harmonies of the saxophones and guitars to maintain melodic structure and rhythmic flow, Motian and bassist Jerome Harris are often free to roam unfettered through this nebulous sound world. Motian allows each player room to stretch out and display his prowess both away from and within the collective, but always at the service of the ensemble. Restrained, yet radiating an undercurrent of unsettled energy, the group traffics in mellifluous abstraction tempered by a hint of potential anarchy. This sense of palpable tension enriches the record's gauzy, dream-like veneer by adding subtle layers of tempestuous energy. 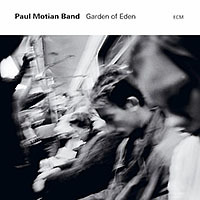 Despite conceptual ties to the Electric Bebop Band and its oeuvre, Garden of Eden is more than a novel reinterpretation of the past. 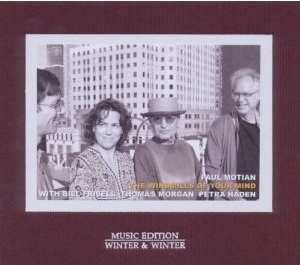 Motian continues to blaze fresh paths for future generations to explore, setting his own new standard in the process. Futuristically impressionistic, this is music of austere grandeurtimeless, but out of time as well. Track Listing: Pithecanthropus Erectus; Goodbye Pork Pie Hat; Etude; Mesmer; Mumbo Jumbo; Desert Dream; Balata; Bill; Endless; Prelude 2 Narcissus; Garden of Eden; Manhattan Melodrama; Evidence; Cheryl. Personnel: Chris Cheek: saxophones; Tony Malaby: saxophones; Jakob Bro: guitars; Ben Monder: guitars; Steve Cardenas: guitars; Jerome Harris: bass; Paul Motian: drums.